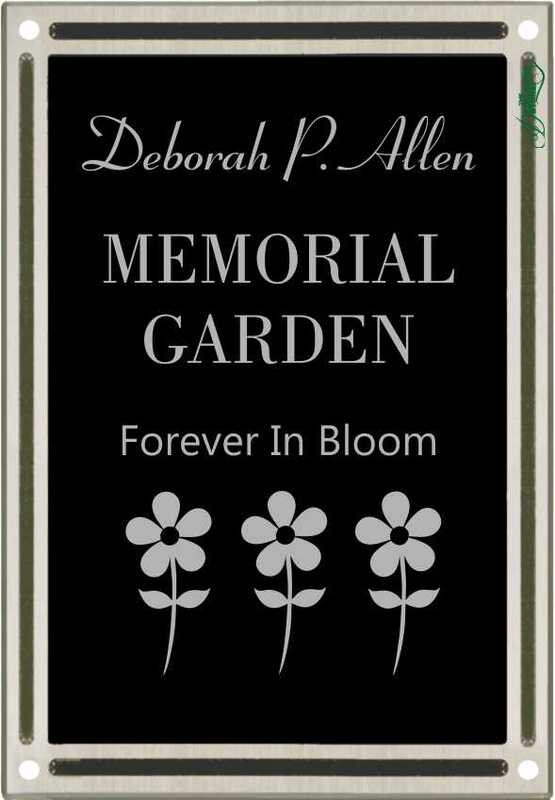 Memorial Garden Plaque with 4 stainless steel wood screws for mounting, the memorial garden is made to last in outdoor garden environments. Cast Aluminum Plaque with Raised Double Border and recess area for Anodized Aluminum Plate included. Great for Nature Trails, Botanical Gardens, Tree Dedications, Dedication Garden plaque and/or Donation Plaque. Flat Back Mounts have Four holes and include Stainless Steel Screws for Mounting.